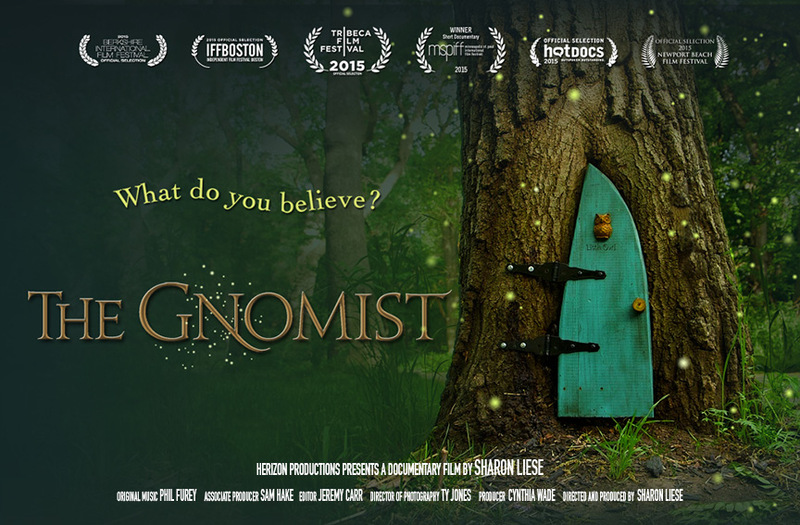 Fresh from its world premiere at New York’s Tribeca Film Festival, award-winning filmmaker Sharon Liese’s short film, THE GNOMIST, produced by Herizon Productions and Cynthia Wade, has been acquired by CNN Films and CNN Digital Studios, it was announced today. “We are delighted to be able to bring Sharon’s beautifully-crafted, novel true story to a wide audience via CNN’s robust digital platforms. On the heels of the success of our first series of digital shorts, we are extremely pleased that THE GNOMIST will become part of our fall series of extraordinary short-form films for CNN,” said Courtney Sexton, senior director for program development for CNN Worldwide. THE GNOMIST is the true story of the mysterious appearance of fairy dwellings in a suburban Kansas forest and the psychic healing power of the magical experience shared by three former strangers. “THE GNOMIST is an incredible story, beautifully told. It’s the perfect addition to CNN Digital’s continued push into long-form narrative storytelling,” said Chris Berend, vice president of video content development for CNN/U.S. The acquisition of THE GNOMIST was negotiated by Stacey Wolf, vice president of business affairs, and Sexton, on behalf of CNN. THE GNOMIST will premiere internationally at Hot Docs Film Festival in Toronto (April 29) and continue to screen at other U.S. film festivals this spring. For more information on screenings, please visit www.thegnomistfilm.com. The film is expected to premiere on CNN’s digital platforms sometime in the fall. Additional films for the fall series will include short films from Andrew Jenks (MTV’s World of Jenks) and Roger Ross Williams (GOD LOVES UGANDA). CNN’s inaugural series of short films launched in March and includes the films UBAH!, about the uncommon life of Somalian supermodel and philanthropist Ubah Hassan, directed by Joe Berlinger; RAISING RYLAND, a journey inside the transgender experience as lived by a six-year-old boy, directed by Sarah Feeley; and THE 414S: THE ORIGINAL TEENAGE HACKERS, about a small, talented group of Milwaukee teens who hacked into dozens of prominent computer systems – including the Los Alamos National Laboratory – during the early days of the Internet, directed by Michael T. Vollmann. All three of these exceptional short films are now available via www.CNN.com/shortfilms. CNN Films produces and acquires documentary feature and short films for theatrical and festival exhibition and distribution across CNN’s multiple platforms. Amy Entelis, svp of talent and content development, Vinnie Malhotra, svp of development and acquisitions, and Courtney Sexton, senior director for program development, oversee the strategy for CNN Films. For more information about CNN Films, please visit www.CNN.com/CNNFilms, www.CNN.com/shortfilms, and follow @CNNFilms via Twitter.